I’m sure many of you already know that JS Cosplay and I are good friends. 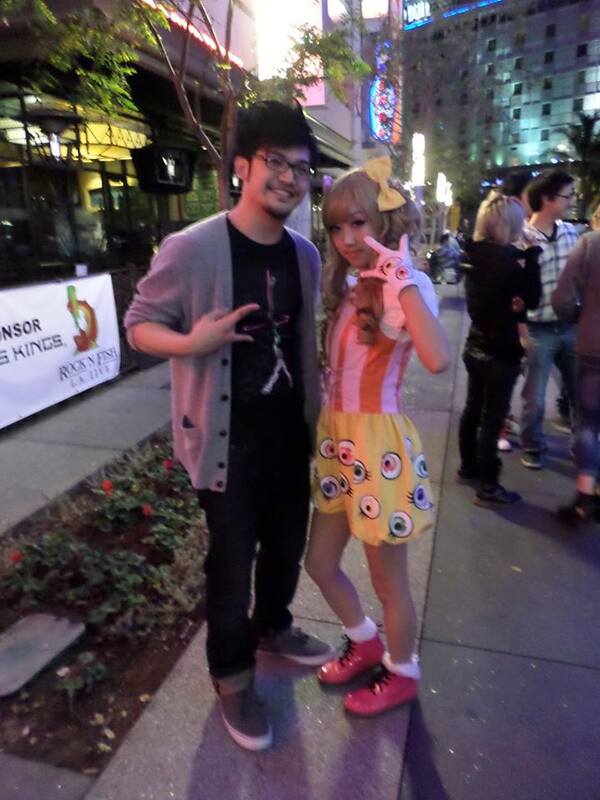 We attended anime events and even the Kyary Pamyu Pamyu concert in LA last year. I’m on the left and JS Cosplay is on the right cosplaying as PonPonPon Kyary at the Kyary Pamyu Pamyu concert at the Club Nokia. Due to her success, I thought it would be a great opportunity to interview her. You can check out her Facebook page here. Sean: What got you interested in cosplay and why the name JS Cosplay? JS Cosplay: I wanted to start cosplaying a while before I made my first one. I like fashion design and I also love game, fantasy, and anime designs. I wanted to fuse both interests so cosplay seemed like the natural step. When I get inspired and love a character, I get compelled to express that love in the form of cosplay. I just wanted something simple for my name. I had a lot of trouble trying to think of something cool! I may extend the initials but I’m not sure as of yet. 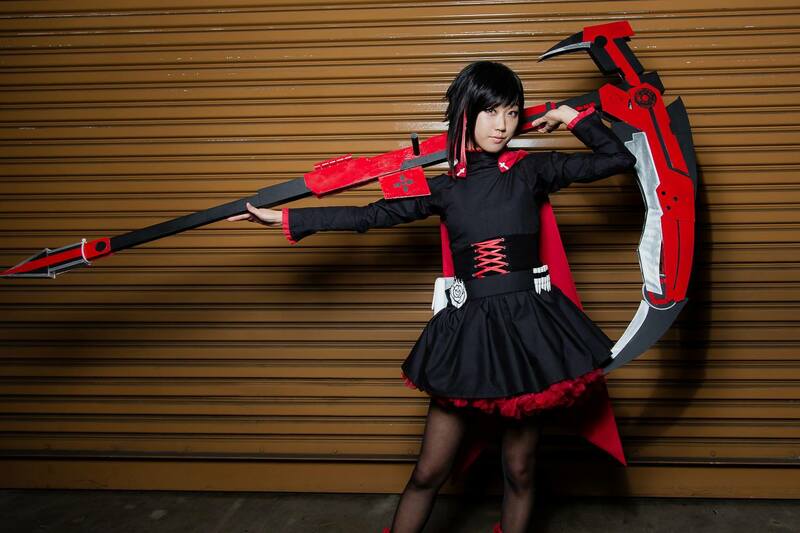 Sean: When you cosplayed Ruby from RWBY, it caught the attention of people in the cosplay community. What inspired you to create that cosplay? 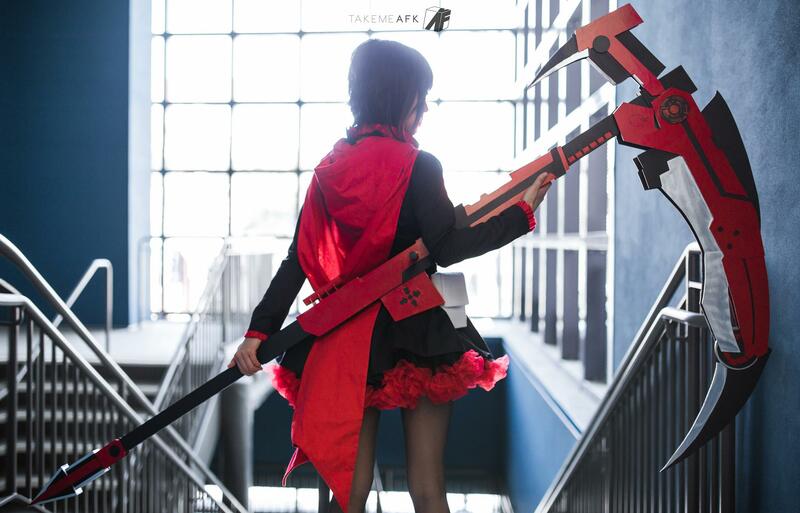 JS Cosplay as RWBY‘s Ruby Rose; Photo by Shutterfoo. JS Cosplay: I actually wanted to make Blake at first! However, after I watched Ruby’s trailer I became obsessed with her fighting style and with Crescent Rose. Ruby’s personality and weapon inspired me. I watched the first season in one long marathon and decided it had to be done. I had no knowledge of prop making, but I did have great friends that were willing to help me along the way and a strong desire to meet Monty Oum as Ruby. Sean: Since your cosplay as Ruby, I know that you became good friends with Monty Oum. I know that his passing was very hard for you and many RWBY fans. Can you share with us a memorable moment between you and him? JS Cosplay: It would probably be from Fanime last year. I was waiting for a friend and I heard someone call my name. I was pleasantly surprised to see Monty and Sheena (Duquette)! We spent the next few hours hanging out, talking about new RWBY characters, playing with Johnny’s (Junkers) corgi, and going out to eat. The fact that Monty never put himself above his fans and even made some of them his friends was awesome. I have a lot of respect for him and what he left behind. Sean: Do you have a dream cosplay? JS Cosplay: I have a few I really want to make!! It’s hard to choose. I would say my top two are Asuka from Evangelion (full plugsuit version) and Princess Zelda. I just want to make sure my skill level is where it needs to be before I attempt them. I don’t want to rush either of these projects! Sean: Are your favorite colors black and red? You seem to cosplay characters that have black and red a lot. 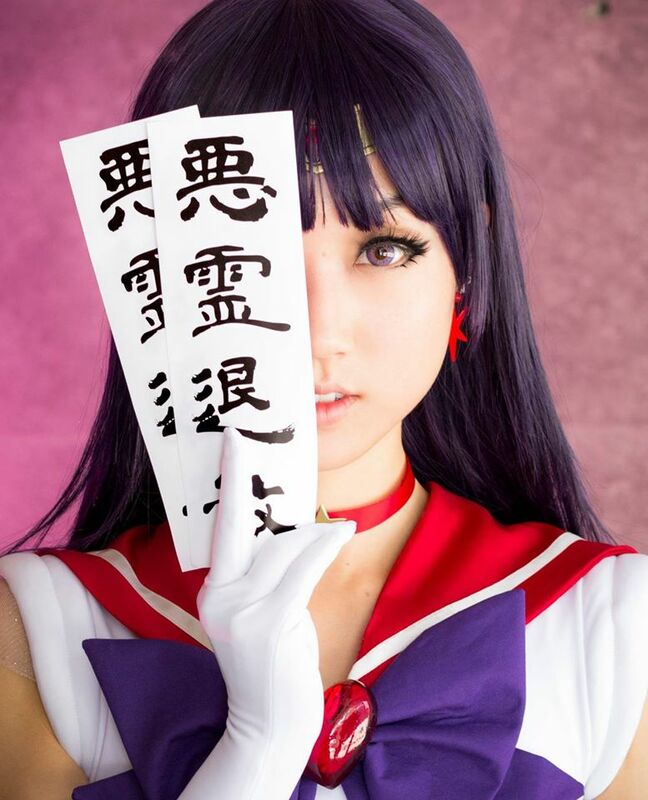 JS Cosplay as Sailor Moon‘s Sailor Mars; Photo by Indiglue. JS Cosplay: My favorite color is green but I can see what you mean *laughs*. Red is my second favorite color though I’m obsessed with black too. Perhaps I am drawn to characters that fit a red and black color scheme. Sean: I also noticed that your Akame from Akame ga Kill! was very well received. How do you feel about how it came out in the end? 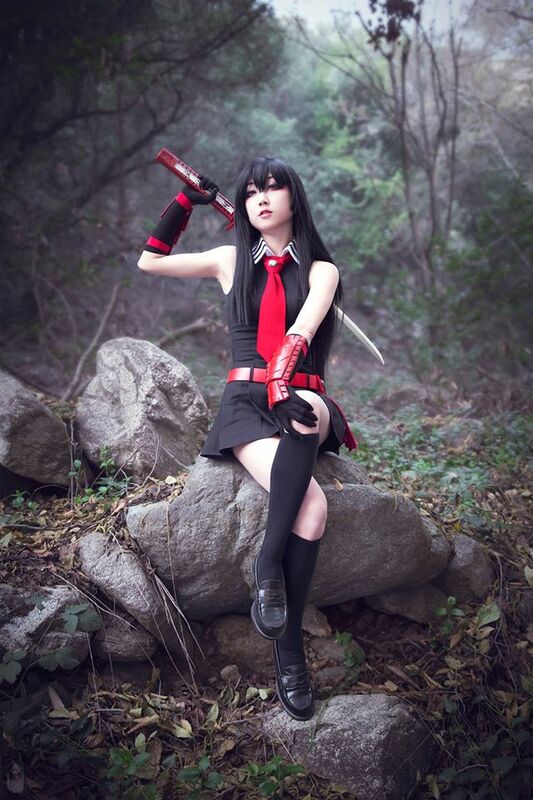 JS Cosplay as Akame ga Kill!‘s Akame; Photo by Idiglue. JS Cosplay: Overall, I’m very pleased with how Akame turned out! A lot of care went into each aspect of the cosplay to make sure the entire look was cohesive. As with every cosplay there are parts I would like to remake/fix though. Sean: What are some of your hobbies besides cosplay? JS Cosplay: I love doing active things like working out, hiking, or going to shooting ranges. There are a few hobbies I want to try, but there’s never enough time in the day! Cosplay is definitely my main hobby. Sean: I know that video games are also a big thing for you. I mean, you were really excited when we attended the Kingdom Hearts HD Remix 2.5 event at the Walt Disney Animation Studio. What is your favorite video game and character? 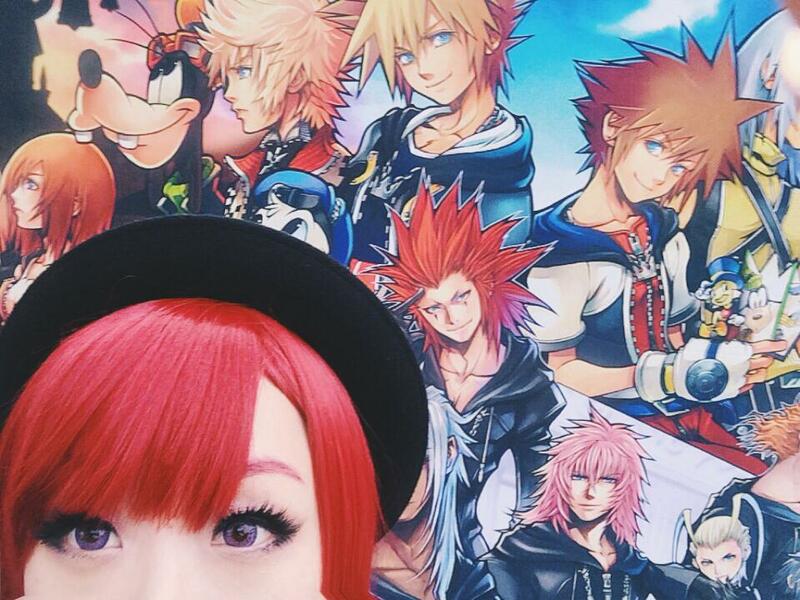 JS Cosplay taking a selfie at the Kingdom Hearts HD Remix 2.5 event at the Walt Disney Animation Studio. JS Cosplay: Yes!!! I was so happy we got tickets for that event. It’s been quite a while since I played KH, but the impact never fades. But my all-time favorite video game is The Legend of Zelda: Ocarina of Time. Zelda is by far my favorite video game character. I always toggled between her and Marth in (Super Smash Bros.) Melee as my mains. Sean: Do fans notice you outside of conventions? If so, how do you react? JS Cosplay: I think I can remember a handful of times when someone recognized me outside of cosplay. I’m usually just surprised when it happens. Even when I’m at a convention I get surprised when people recognize me from my page. I’m not sure if I’ll ever get used to it *laughs*. 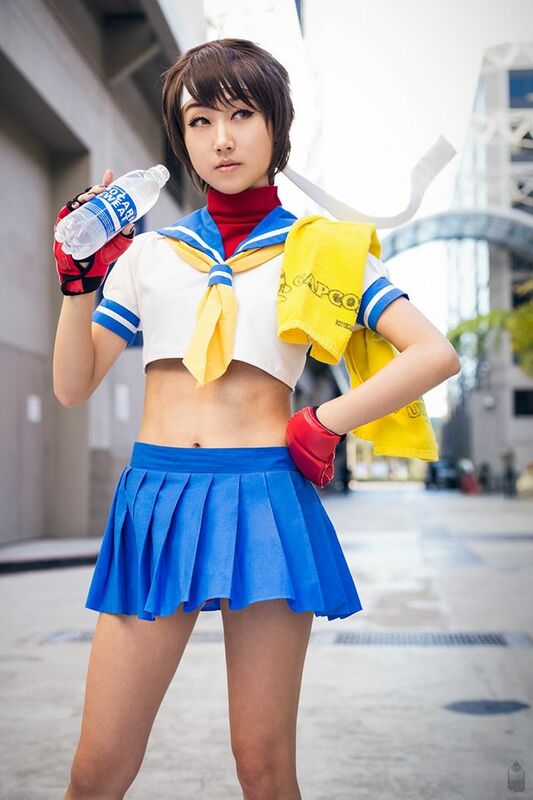 JS Cosplay as Street Fighter IV’s Sakura; Photo by Indiglue. Sean: Speaking of conventions, which cons will you be attending this year? Also, if you can tell us, which characters will you be cosplaying as? JS Cosplay: I won’t be able to debut as many new cosplays this year, but I have a few in mind. I’ll be attending Hanadoki, Fanime, and Anime Expo. The second half of the year isn’t confirmed yet, but you will see Love Live!, Evangelion, Kancolle, and League of Legends.